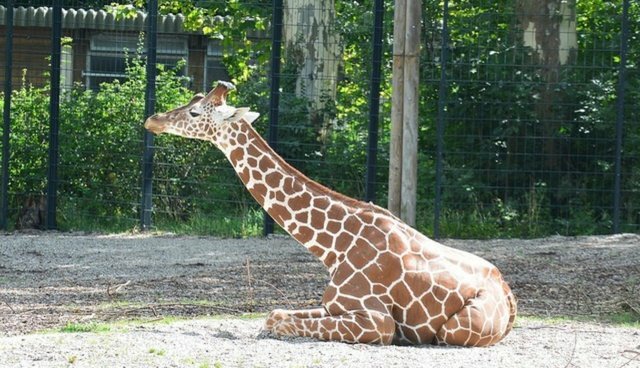 The killing of Marius, a young and healthy giraffe at the Copenhagen Zoo, has resulted in a good deal of press about the ways in which zoos deal with what they call "surplus animals". It also has been responsible for motivating many people to speak out against this most inhumane practice. I call this "The Marius Effect" (see also) and the killing of these animals "zoothanasia" not euthanasia, or what zoos call "management euthanasia", which is mercy-killing those animals who are in interminable pain or mortally ill. These animals are healthy beings who do not have to be killed! While some claim that killing animals like Marius because they are useless to a zoo's breeding program only occurs very rarely, this is not the case according to a recent essay by Hannah Barnes called "How many healthy animals do zoos put down?" published in BBC News Magazine. And, not only are the facts rather startling and disturbing, so is the language that zoo administrators and others use to refer to the animals themselves. Here are a few snippets from the BBC essay that should motivate you to read this essay and do something about the prevalence of zoothanasia. "This is not a thing that should go anywhere outside Denmark,'" says Copenhagen Zoo's Scientific Director Bengt Holst, responding to the barrage of critical news coverage. "'We all know it's done every day." EAZA does not publish these records or advertise the number of healthy animals that have been culled, but executive director Dr Lesley Dickie estimates that somewhere between 3,000 and 5,000 animals are "management-euthanised" in European zoos in any given year. Four German zookeepers were also prosecuted in 2010 for culling three tiger cubs at Magdeburg Zoo "without reasonable cause" (though the EAZA judged the step "entirely reasonable and scientifically valid"). "The numbers game can be made to sound awful," says Simon Tonge Executive Director of South West Environmental Parks, which runs Paignton and Newquay zoos in the UK. The headline "Zoos euthanise thousands of animals per year" would be misleading, he says. "Well OK, but you know most of those animals were rats or mice or something like that." Animals are not things, but referring to them as if they are unfeeling objects with whom we can do anything we choose makes it easier to kill them routinely and unnecessarily with disarming and regrettable apathy and disregard. How zoos handle what they call "surplus animals" who many view as "things" is a fertile area for research in anthrozoology, the study of human-animal relationships, including the words we use to refer to other animals.